I’ve passed this 1988 Olds Delta 88 many times driving, but this was the first time I came across it parked, so I quickly snapped a photo or two. 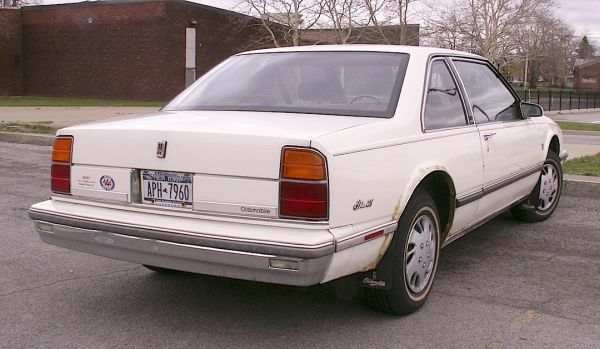 The full-sized two-door sedan body style wasn’t long for this world back in ’88 — too bad, because these Oldses (and their Buick counterparts) were pretty sharp looking! Finally nailed this one in downtown Niagara Falls a few weeks back. Jim Corbran, RRofWNY …and check out our Facebook page: Non-American Classic Cars The post RealRides Of WNY appeared first on Buffalo Cars.